When evangelizing so many people are afraid that they will not be able to answer questions that are asked. Many new Christians believe that they do not have the answers or the knowledge to support the claims of Christianity. 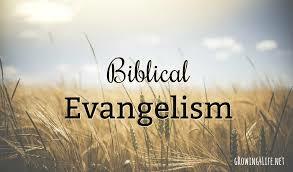 This fear keeps many from evangelizing. However, any Christian knows more about how to get right with God than any unbeliever does. A Christian can always share his testimony about how God redeemed him when sharing with an unbeliever.